A treatment plan presentation begins when the patient calls for an appointment and walks through the front door into your reception room. Your office doesn’t have a waiting room because your patients don’t wait. A treatment plan presentation is all about communication and that begins with the patient’s perception of you, your team and the physical environment. If the office looks old how does that effect the patients perception of care? 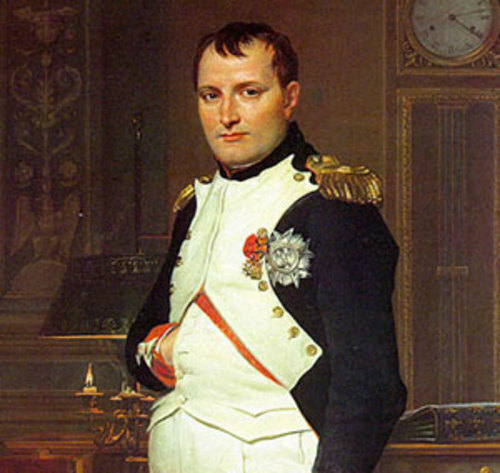 Napoleon Bonaparte was known as the Little General. He really wasn’t that short but he surrounded himself with tall bodyguards. That image also helped hide his military genius from his enemies and retain the loyalty of armies. What professional image does your practice portray? The Professional Image … When you get to the office do you walk in the front door or the back? When I visit my clients I always use the front door and sometimes I am shocked at what I see. My business background is marketing and operations and Stu Leonard was one of my marketing heroes, he once said “Retail is Detail” and the detail is what you need to pay attention to. I can’t tell you how many times I have picked up wet newspapers and brought them to the front desk or, while I was waiting, picked up a magazine that was 10 months old. It’s so interesting reading about baseball spring training after the season is over. It looks and feels old and competes with your success. Competing with yourself … This is not good and it is so avoidable. What magazines are in your reception area? What is playing on the flat screen (I hope it’s a flat screen)? Think about this, your 35-45 year old patient is reading about a great newly designed putter or an outrageous hand bag that sell for $250.00. Then you tell that patient that they “should” have an old restoration replaced. What do think they will do? I think they will say “maybe next time”. If they are watching the travel channel in the reception area, what are they thinking about? It’s not veneers or aligners. Keep the focus on oral and systemic health. Systemic health … This is the core of the patient experience and the picture you want to portray. Your patients don’t understand that you are a physician and part of their health care team. Your reception area should have heath related magazines and oral health related videos on the flat screen. Keeping the patient focused on health will help them better understand your clinical suggestions. The average patient also respects technology and dental imaging because now you can show them pictures and a picture is worth a thousand words. The Picture … several years ago I started working with client in an affluent New Jersey town. It was a million dollar location but the practice had not been updated in over 20 years. The dentist is an excellent practitioner with a great personality but the new patient count and re-care system was struggling. Reluctantly, the dentist invested over $100k and renovated the practice (with no down time). They scripted the team, focused them on the patient experience and enjoyed meeting over 100 new patients (that all re-appointed) over a 9 month span. The picture is only getting brighter. Keep Making it brighter … Gandhi once said “we are the language we speak”. New diagnostic tools are becoming more available to dentists. To remain part of the healthcare revolution that is well underway you need to consider utilizing some of these tools. Technology now allows you to use digital imaging along with your words to explain clinical issues. Technology also allows you to offer your patients an analysis of systemic abnormalities and probabilities. You are not “just” a dentist, you are a physician and a key part of your patient’s healthcare team. Stay current, stay relevant and keep making that picture brighter.